The LHS football season ended Friday night with a 56-13 home loss to North Ridgeville. Lakewood running back DJ Jackson, who was honored along with all the senior players before the game, had 194 yards and two touchdowns in the contest. The senior class persevered a turbulent era at LHS, having three different head coaches over the past three seasons. The LHS football team suffered a disappointing loss on Friday night, falling 49-14 to Midview. Turnovers and mistakes doomed the Rangers, who were coming off their first win of the year against Westlake. Lakewood senior Kyren Jefferson provided the highlight of the evening, setting the new school record for pass receptions in a season. The previous record (48 catches) was set in 1988 by Chip Chambers. Since the beginning of training camp, new Lakewood football coach Tom Thome has challenged his team to get better each week. It paid off on Friday night at First Federal Lakewood Stadium, where the Rangers defeated Westlake 35-26 for their first win of the 2018 season. The Rangers turned in a very gutsy performance, overcoming both the Demons and cold, damp conditions. The rain- soaked crowd had a raucous celebration, as this was the first home victory for the Rangers since the 2015 season. The LHS football team fell 56-7 to Avon on Friday night at First Federal Lakewood Stadium. The game was part of the school’s Homecoming festivities, and was preceded by the annual Spirit Parade. The game was attended by a large number of LHS graduates, and many alums participated in the marching band at halftime. Are you looking for something to do for Sweetest Day weekend? Lakewood Rangers Volleyball is hosting a fun-filled evening at Vosh Lakewood on Friday, October 19, 2018. The event runs from 6:00 - 8:00 pm. Tickets are just $25 per person and include complimentary valet parking, appetizers, one drink ticket, raffle baskets, sideboards, music, dancing and fun! Stay after the event for the local band, SHOUT, as they perform music ranging from Big Band, R&B, Rock, Motown, 70s Disco, Funk, 80s Pop to today's current hits. The Lakewood Ranger football team lost 49-14 Friday night to Olmsted Falls at First Federal Lakewood Stadium. The Bulldogs entered the game as one of the top ranked teams in the area, and they looked the part. The game was part of the school’s Hall of Fame Weekend celebration, which included a halftime salute to honored alumni and staff members. Honorees included Athletic Hall of Fame members Adam Gold ’03, Julie Zickes Laub ’88, Michelle Sikes ’03, Aaron Johnston-Peck ’03, and Kelsey Moran ’09. Distinguished Alumni were Mickey Krivosh ’70, Dr. Sam Shaker ’60, David Malloy ’94, and Jennifer Griveas ’94. Staff honorees were Jan Lushbaugh Soeder ’64, Patti Komperda, and John Drotleff. The LHS football team fell 50-12 to Berea-Midpark on Friday night. The Ranger offense had its best outing of the season, highlighted by a pair of touchdown catches by sophomore wide receiver Evan Hampton. Senior wide receiver Garrett Waite had a pair of touchdown receptions for the Titans, helping them to build a big first half lead. The LHS football team fell 56-0 to Amherst on Friday night in the conference opener for both schools. The game was played at Memorial Field in Amherst, where a pregame ceremony honored fallen Ohio Trooper Kenneth Velez. Velez, a father of three Amherst student athletes over the years, died in 2016 while directing traffic on I-90 along the Lakewood/Cleveland border. The LHS volleyball team defeated Valley Forge 3-1 on Saturday afternoon to earn its first victory in the new Lakewood High School Gymnasium. The program spent the last four seasons playing at Harding Middle School while construction was being done at LHS. Head coach Maggi Sczcepaniak, who has been impressed with the team’s focus and effort this offseason, cited seniors Eliza Richardson and Hannah Martin as keys to the victory. The win, first for the program since the 2016 season, sparked a celebration among fans and players at the new facility. The LHS football team opened the 2018 season on beautiful Friday night at First Federal Stadium. A festive crowd enjoyed the late summer weather, which was warm with a nice breeze. The student section wore a festive "beach" theme, and the marching band had a great program of Broadway songs. However, Garfield Heights spoiled the party with 42-0 win over the Rangers. LHS hired new football coach Tom Thome (rhymes with “home”) this past winter to replace the outgoing Tom Hannan. Thome, who will teach social studies at LHS, arrived from Twinsburg High School. He and the team have been working hard this offseason and are anxious to hit the field. The program has seen an impressive influx of freshmen this season, with 22 9th graders joining the team. The group offers quality as well as quantity. “I’m blown away at their IQ,” Coach Thome says of the newbies. As many as three of the freshmen could see playing time on the varsity squad. More importantly, the group is large enough to field a full freshman team this year – something that hasn’t been possible in recent seasons. After an 11 year absence, basketball returned to Madison Park on July 25. The Lakewood Outdoor Basketball Committee (LOBC) and the City of Lakewood opened Lakewood's first full basketball court since 2007. Kids, city leaders, community activists and LOBC members gathered on a sunny evening for the official ribbon-cutting ceremony. Also in attendance were LHS boys varsity basketball coach Alex Cammock and LHS girls basketball coach Mike Harper. More than five months after his hiring by the school board, new LHS football coach Tom Thome opened his first training camp last Monday at First Federal Lakewood Stadium. Coach Thome (rhymes with “home”) and the players spent the offseason conditioning, participating in camps, and doing community service projects. They are looking forward to their opening game later this month. Join LHS Varsity Coach Andrew Toth and the Ranger team for their LHS Junior Rangers MINI-CAMP Fall Warmup! Join LHS Varsity Coach Andrew Toth and the Ranger team for their annual LHS Junior Rangers Summer Soccer Camp! The LHS boys track and field team finished first in the 36th Annual Kiwanis Ranger Relays, held on April 13th at First Federal Lakewood Stadium. Lakewood finished with 80 team points, edging out Berea-Midpark with 78 points. Rocky River and North Royalton finished third and fourth with 74 and 72 points, respectively. LHS junior Tyler Hannah led the Ranger effort by winning the 110 meter hurdles, anchoring the winning distance medley relay team, and leading the first-place high jump relay team. The LHS girls finished fifth in the event, with senior Abby LaForm taking second place in the 3200 meter run. LHS Athletic Boosters "Night At The Races"
The LHS Athletic Boosters "Night at the Races" fundraiser on March 10 was a success. The 14th annual event raised over $20,000. This money helps to keep Lakewood's pay-to-play fees among the lowest in northeast Ohio. Thisi is the Boosters' largest fundraising event of the year. St. Edward won its second consecutive district championship on Saturday night at CSU's Wolstein Center. They defeated their arch-rivals from St. Ignatius 71-57 in a game that wasn't as close as the final score indicated. The Eagles completed a three game season sweep of the Wildcats, having won both regular season contests earlier in the year. St. Edward defeated Lakewood 59-45 Wednesday night in an OHSAA district semifinal game held at Strongsville High School. The victory moves the Eagles into Saturday's district championship game, which will be held at the CSU Wolstein Center at 7pm. It also ends a historic season for Lakewood, which won the Southwestern Conference Championship and entered this game riding a 19 game winning streak. The LHS boys basketball team defeated North Royalton 57-49 Saturday night in second round OHSAA Tournament action. The victory sends the Rangers to the District semifinals, where they will face St. Edward on Wednesday night at Strongsville High School. The Eagles defeated Rhodes 88-57 at home on Saturday to earn their spot in the game. Confidence wasn’t lacking from the Lakewood Rangers in their first postseason game at Lakewood’s new gym. The LHS boys basketball team defeated North Ridgeville 71-52 on Friday night to wrap up a share of the Southwestern Conference championship. The Rangers and Olmsted Falls each finished 17-1 in the league, splitting their two head-to-head games. The conference championship is the first for the Rangers since 2014, when they won the now-defunct West Shore Conference under head coach Phil Argento. This is also just the second conference for the LHS Athletic Department since joining the SWC in the fall of 2015. The previous championship was boys cross country in fall 2016. St. Edward defeated Solon 84-70 Tuesday evening in a highly anticipated matchup of local powers. Solon entered the game undefeated, and was ranked the top team in the entire state of Ohio. The Eagles, who narrowly defeated Central Catholic in OT on Saturday, had risen to #8 in the state polls. An overflow crowd was in attendance on the unseasonably warm evening, causing numerous game delays due to condensation on the floor. The LHS girls basketball team defeated Brecksville-Broadview Heights 55-20 on Saturday night to advance in the OHSAA state championship tournament. The victory was the 100th at LHS for head coach Mike Harper. The team commemorated the event by presenting a banner to Harper after the game. Athletic Director Sean Jackson was among those congratulating Harper on the milestone. The Lakewood boys hoops team defeated Westlake 57-32 on Tuesday night at LHS, retaining their spot in first place of the Southwestern Conference with only two conference games remaining. The Rangers swept the season series from the Demons, and boosted their overall record to 17-2 on the season. The LHS girls basketball team defeated Avon 32-30 on Saturday afternoon to complete their regular season. The Rangers swept Avon in the season series, having defeated the Eagles at home in January in a 49-45 overtime game. This game was close throughout, and an intense defensive battle. Both teams forced numerous turnovers and forced the opposition into tough shots. The end of the regular season is rapidly approaching, and there were two huge boys basketball games in Lakewood Friday night. St. Edward hosted St. Ignatius, and Lakewood hosted conference rival Avon. Both games were important for OHSAA tournament seeding, which will take place Sunday. Team registrations for our Adult Spring/Summer Softball leagues are open beginning on February 1st. From COED and men's Sunday double header leagues to various weekday leagues, there are many opportunities to play. Players of all skill levels are welcome. New this season is a Women's Classic 45+ Monday League. Registrations for our Youth Summer Baseball & Softball leagues are currently underway. From ages 4 to 15 in baseball and ages 9 to 12 in softball, we offer many opportunities to learn and play the game. Register by February 28th and receive $10 off your youth baseball or softball registration. These are fun and social leagues emphasizing fundamentals and sportsmanship. The St. Edward basketball team defeated St. Ignatius 74-62 Saturday night before a packed house at Sullivan Gymnasium on the St. Ignatius campus. The victory avenged the Wildcats’ sweep of both regular season games between the two rivals, and breaks a two-year losing streak for the Eagles at Sullivan Gym. Sophomore Montorie Foster led the Eagles with 20 points, and fellow sophomore Grant Huffman had 18. Senior Neeko Melendez led all scorers in the game with 24 points for the Wildcats. The LHS girls basketball team earned a gutsy win on Saturday afternoon at Lakewood Gym, defeating North Ridgeville 51-48 in overtime. The Rangers played without starters Isabel Cintron and Christian Massey, both of whom were injured in an on-court collision in the previous game. Senior Olivia Nagy had 30 points to lead the Rangers, and seniors Mary Lavelle and Courtney Ribar each scored seven. Lavelle started in place of Massey, and Ribar switched to point guard in the absence of Cintron. I was among the more than 3,000 people who attended the Browns "Perfect Season Parade" on Saturday. 1st Report From Daytona 24 "The Roar"
The “Roar before the 24” Sports Car racing weekend ends….a veritable smorgasbord of road racing in early January. Despite the chilly temperatures, this reporter has enjoyed every minute. The winter sports season is in high gear, so here are some updates on the LHS varsity teams. Both basketball teams are on winning streaks, the hockey team is having a strong season, and the wrestlers won a rivalry match on the road. The LHS girls basketball team defeated Westlake 52-49 on Saturday afternoon at the Lakewood High School Gym. This was the team’s third consecutive win, and raised their record to 7-6 on the season. Lakewood senior Olivia Nagy led all scorers with 19 points. Sophomore Abby Carrington led Westlake with 14 points. The LHS girls basketball team defeated Avon 49-45 on Wednesday night in an overtime thriller at Lakewood Gym. Senior guard Isabel Cintron hit two clutch free throws in the final second of regulation to force the game to overtime. The Rangers won the overtime session despite their two main scorers having fouled out in regulation. St. Edward defeated Akron St. Vincent-St. Mary 62-55 Friday night at the Eagles’ Nest. The matchup of state powers was televised across the region on Spectrum. The Irish, defending Division II state champions, led the game for most of the evening, but the Eagles rallied in the fourth quarter. Eagle sophomore Grant Huffman, who was hurt during the opening night game at Lakewood, had 12 points and was a key to the comeback. 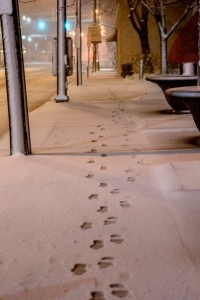 A handful of Lakewoodites are headed to Daytona Beach, Florida and it is not just to escape the freezing temperatures. It is to witness and write about one of the great motor races in America, the 24-Hour race at the Daytona International Speedway. Not only will they be enjoying the warm temps, but some will be helping cover the race, while others will hopefully be meeting up with one of the owners of a top team that used to spend summers in Lakewood. Stay tuned. An estimated 3,000 fans braved bitterly cold temperatures last Saturday, for a parade to "celebrate" the Cleveland Browns' perfect record of futility in 2017. Lakewood residents joined fans traveling from throughout northeast Ohio and even further away, to numb the sting of an 0-16 record through humor (and arctic cold). The event, organized by Chris McNeil and other volunteers, attracted sponsorship from Excedrin and Farmers Only and ultimately raised $15,000 for the Greater Cleveland Food Bank. The Lakewood boys basketball team held off a fourth-quarter rally to defeat Avon Lake 64-52 on Tuesday night at the new LHS gym. The Shoremen shrunk a 20 point lead to nine, but Lakewood held on to get the win. Senior Jacob Sala led the Rangers with 25 points, and senior Liam Diop had 14. The Rangers are now 4-2 on the season, 3-1 in Southwestern Conference play. John Marshall entered Saturday night’s home game against St. Edward with an undefeated record and a lot of enthusiasm. Winners of only eight games last season, the Lawyers had a 5-0 record this year under rookie head coach Rich Austin. John Marshall played well early in front of a large home crowd, but the Eagles used their depth and size to earn a 68-49 win. St. Edward defeated Padua Friday night in much awaited basketball matchup. Padua Head Coach Brian Ansberry, an alum and former assistant coach at St. Edward, faced his mentor Eric Flannery for the first time. Unfortunately for Ansberry (who still teaches math at St. Edward), the numbers were not good for the Bruins. The Eagles pulled away in the fourth quarter for an 89-55 win. The Lakewood boys basketball team overcame an 11 point halftime deficit to defeat Berea-Midpark 42-34 on Tuesday night at the new LHS gym. Ranger junior Tim Smith had 16 points to lead the comeback, which lifts Lakewood to 3-1 on the season. St. Edward defeated Cornerstone Christian Academy 81-52 on Saturday night in Lakewood. CCA, the top ranked Division IV school in the area, features star guard Michael Bothwell, who has committed to play Division I college basketball at Furman University next year. Bothwell led all scorers with 25 points, but it wasn’t nearly enough to hold off a three point barrage by the Eagles. St. Edward had 15 three pointers in the game, and had eleven different players reach the scoring column. The Lakewood girls basketball team defeated Amherst Steele 61-54 Saturday afternoon in an overtime battle. The Rangers took an big lead early, but the Comets battled back in the fourth quarter to send the game into overtime. Lakewood regained its composure during the extra session, outscoring Amherst 9-2. Senior center Olivia Nagy led the Rangers with 24 points. The Lakewood varsity boys basketball team notched its first win at the new LHS gym on Tuesday night, defeating Massillon 60-44. The Rangers fell to St. Edward in the gym's opening game on Friday night, but bounced back to beat the Tigers behind 20 points from senior center Jacob Sala. The Lakewood boys basketball team opened its new gym Friday night with a home game against cross town rival St. Edward. The game capped a festive week where LHS celebrated the completion of its re-construction. The game marked the end of Lakewood’s three-year stay at Harding Middle School, where it played during the gym construction. “We felt like a real basketball team again”, Ranger head coach Alex Cammock said when asked about playing on campus again. The Eagles, a Final Four team last March, is expected to contend for the D1 title again this year. The upstart Rangers fought toe-to-toe with St. Edward, which pulled away in the final minutes to earn a 51-38 season-opening victory. The Lakewood girls basketball team overcame a slow start to defeat Westlake 47-38 Wednesday night in the conference opener. This was the second of a six-game road trip to begin the season. Senior guard Saher Hamdan led the Rangers with 16 points, including some key baskets down the stretch. The victory evens Lakewood’s record at 1-1 on the season. Cuyahoga Community College (Tri-C) basketball player Ryann Greenfield earned Division II Player of the Week honors from the Ohio Community College Athletic Conference for her performance Nov. 6-12. There will be no rematch with St. Ignatius. The Mentor Cardinals beat St. Edward 21-13 Friday night in OHSAA football playoff action at a frozen Byers Field in Parma. The game was played with temperatures in the 20s, conditions best suited for Princess Elsa or the Freeze Meiser. Passing and punting was difficult for both teams, since the ball was hard and heavy. Mentor utilized a punishing running attack and a strong defensive effort to pull the upset. Senior running back Elijah McDougall led the Cardinal running game, gaining 121 yards on 15 carries. Fellow senior Chris Edmond had 59 yards on 14 carries. McDougall and Edmond each had one touchdown run. St. Edward opened the OHSAA football playoffs with a win over Canton McKinley on Friday night at First Federal Lakewood Stadium. The Eagles overcame a 14-10 halftime deficit to defeat the Bulldogs 37-21, earning a second-round matchup with Mentor. Senior Tylan Rice and junior Quintel Kent each had a pair of touchdowns in the game for St. Edward. After a summer of having five veterans during a summer 7's season and finishing in 2nd and 3rd place in tournaments, Lakewood High School Girl's Rugby 7's sides has seen a dramatic growth in their program of 4.4%. Lakewood High School Girl's Rugby is now a team of 22 girls strong and still looking to grow before their spring season. This weekend they outscored their opponents a total of 88-40, moving on to 3-0-1 for this season. A team that struggled with numbers last year is headed in the right direction early this season. Wildcats Win "Battle of the Saints"
St. Ignatius defeated St. Edward 17-10 tonight at First Federal Lakewood Stadium in front of an overflow crowd. The annual rivalry game – newly dubbed “The Battle of the Saints” – was played on a very cold but dry night. Three first half Eagle turnovers put St. Edward into a 10-0 hole, and they were never able to fully climb out of it. Both teams will host OHSAA playoff games next week, and are widely expected to meet again during the playoffs. North Ridgeville Wins "Battle of the Rangers"
North Ridgeville defeated Lakewood Friday night in the season-ending “Battle of the Rangers” football game. North Ridgeville’s “blue Rangers” prevailed 35-11 thanks to a fast start and four touchdowns from senior running back Shomari Williams. 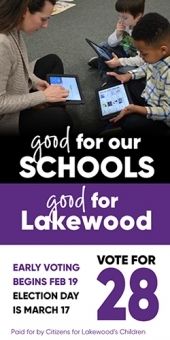 The loss wrapped up a year of considerable improvement for Lakewood, but it also demonstrated that the program has a long way to go. The Lakewood boys soccer team advanced in the OHSAA tournament Wednesday night by defeating North Royalton 2-0 in a hard fought battle. The Bears, who earned home field for the game due to their regular season record of 11-1-4, were considered favorites in the matchup. A pair of Ben Harvey goals and a strong defensive effort made the difference, sending the Rangers to the Saturday district championship game against St. Ignatius. St. Edward thumped Cincinnati Moeller 31-7 Saturday afternoon in a battle of state football powers at First Federal Lakewood Stadium. The victory clinched a home playoff game for the Eagles (9-0), who will wrap up the regular season next week against archrival St. Ignatius. The LHS boys soccer team defeated Lincoln West 6-0 Saturday night at Garfield Middle School in an OHSAA Tournament game. Malvin Gblah and Jack Hueter each had a pair of goals, and Brennan Foran had a goal and two assists. Lakewood will next play Wednesday night at North Royalton in the district semi-final. After enjoying their victory last week over Westlake, the Lakewood football team returned to action Friday night at First Federal Lakewood Stadium. Unfortunately the Midview Middies returned the Rangers to the loss column, handing Lakewood a 51-10 defeat. The game, which was the final home contest of the season for LHS, was preceded by Senior Night activities. Football players, cheerleaders, band members, and athletes from numerous fall sports were introduced on field with their parents and thanked for their contributions to Lakewood Athletics. St. Edward easily defeated Canada Prep 31-7 on Saturday afternoon at First Federal Lakewood Stadium. The victory pushed the Eagles record to 8-0 on the season, and likely clinched a spot in the OHSAA playoffs. It also served tune up for the Eagles, who now face state powers Moeller and St. Ignatius in the final two weeks of the season.